The best time to buy stocks is when the price is low. For stocks investors, this is the time for shopping. During recession is the best time to buy stocks as most are down and people are selling their stocks like crazy. Why? Because they are afraid to lose all the money by keeping it. They have a point on that, but come think of it also on a positive side. After every downturn, stocks must also climb up and recover its true value (unless the company close down). Take note also that these companies are managed by the most qualified businessmen in their respective industry. 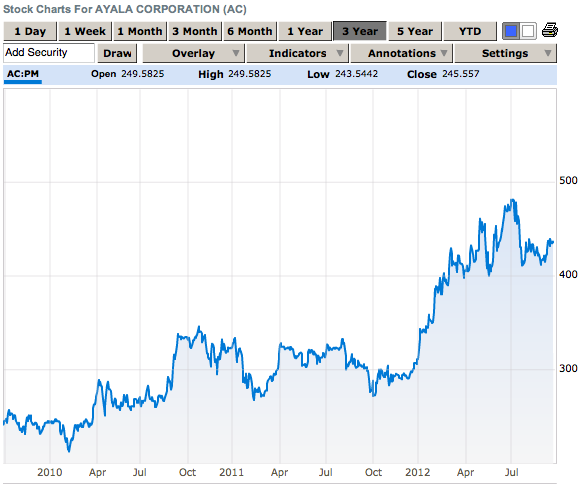 Here’s a 3 year stocks price of some of the most notable companies in the Philippines. 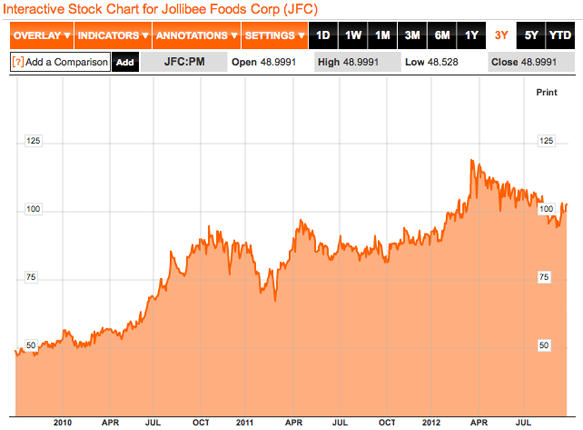 Imagine if you invested your money to buy stocks from 2009, here’s what your stocks investment will look like now. 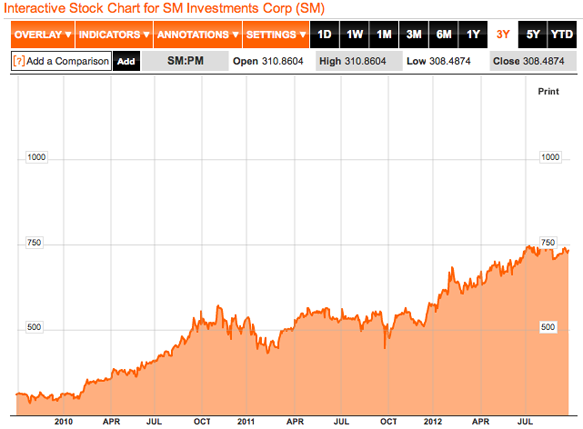 If you invest P 1K per month, that’s P 36K total investment in 3 years. P 56K approximate money you should have now (dividend and other factors are not included). 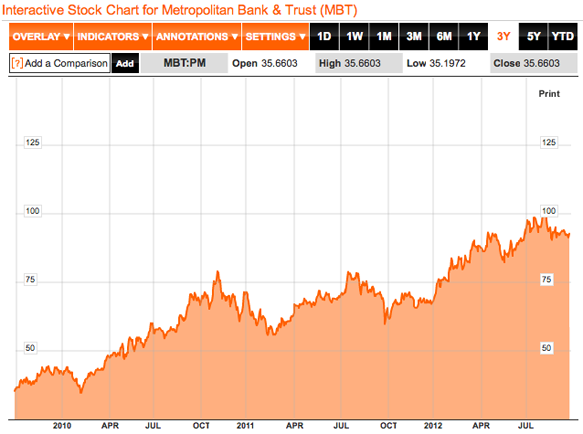 If you invest P 1K per month, that’s P 36K total investment in 3 years. P 68,948.17 approximate money you should have now (dividend and other factor is not included). 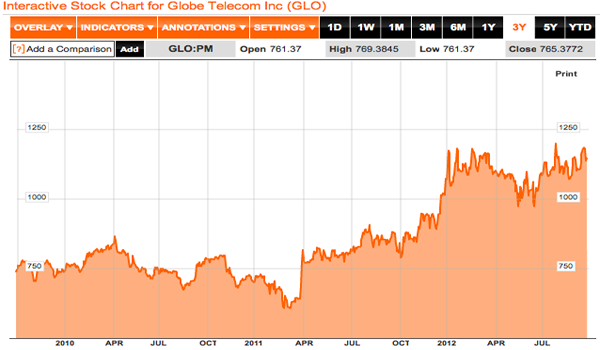 If you invest P 1K per month, that’s P 36K total investment in 3 years. P 64,481.60 approximate money you should have now (dividend and other factor is not included). If you invest P 1K per month, that’s P 36K total investment in 3 years. P 62.86K approximate money you should have now (dividend and other factors are not included). If you invest P 1K per month, that’s P 36K total investment in 3 years. P 54,017.34K approximate money you should have now (dividend and other factors are not included). Did you know that you can start trading stocks in the Philippines for P5K pesos only? Check this post. Here’s a step by step guide on on how to open a stock trading account in Citisec Online. Visit this link. You need a mentor to guide you on stocks. Follow Bo Sanchez on his Truly Rich Club. Click here.